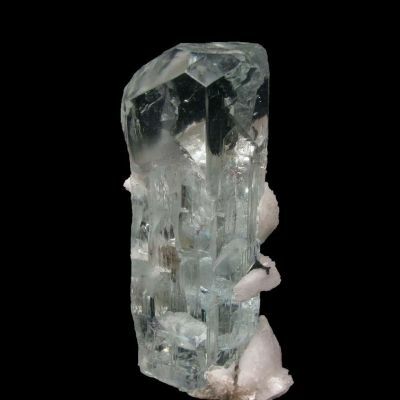 This specimen is complete all around and looks good from all angles. 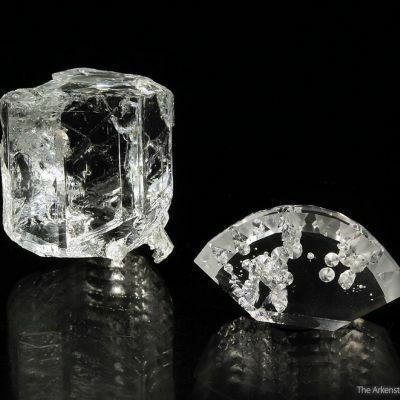 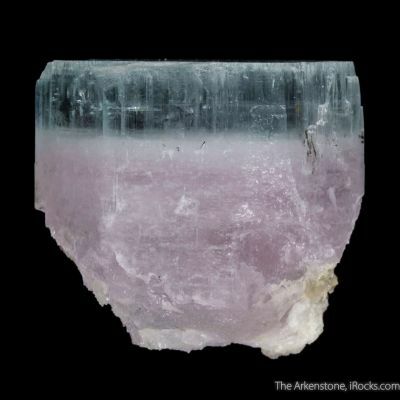 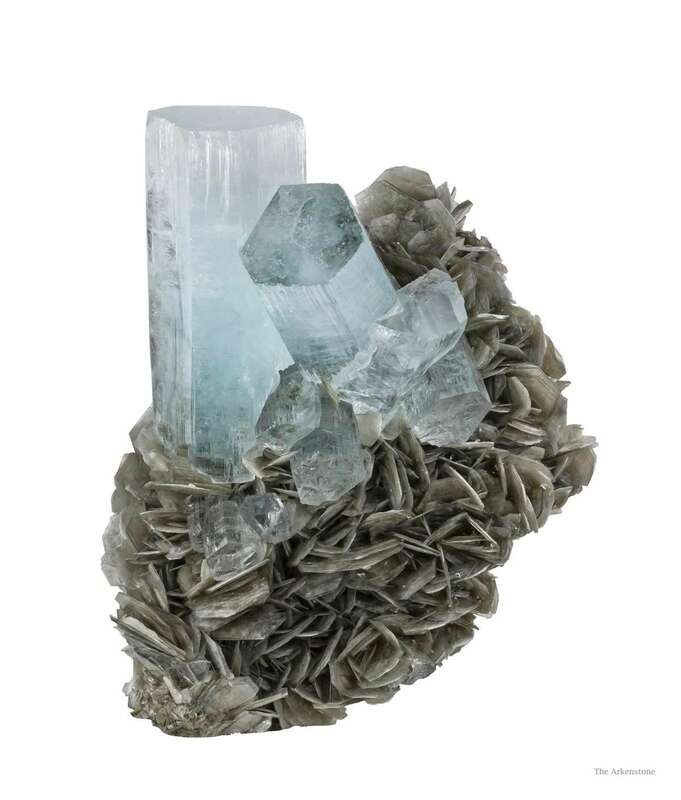 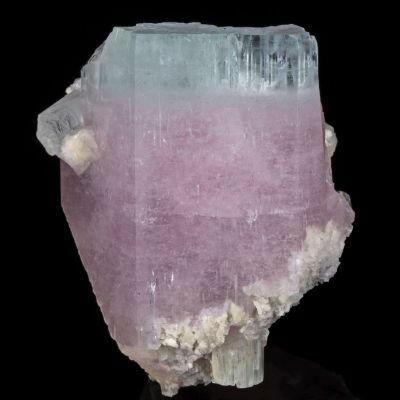 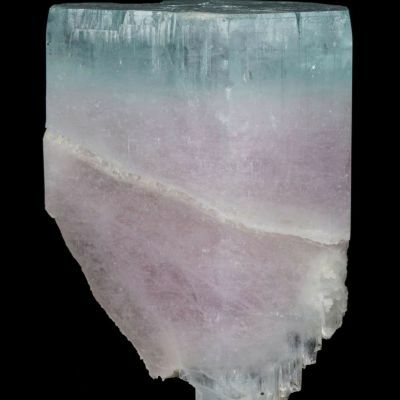 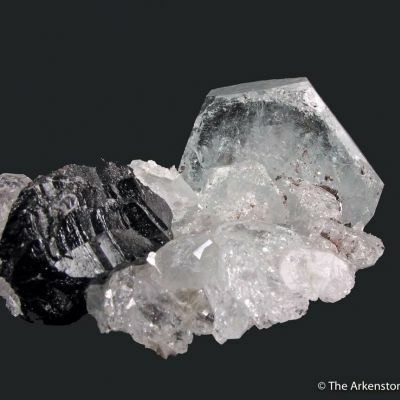 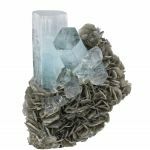 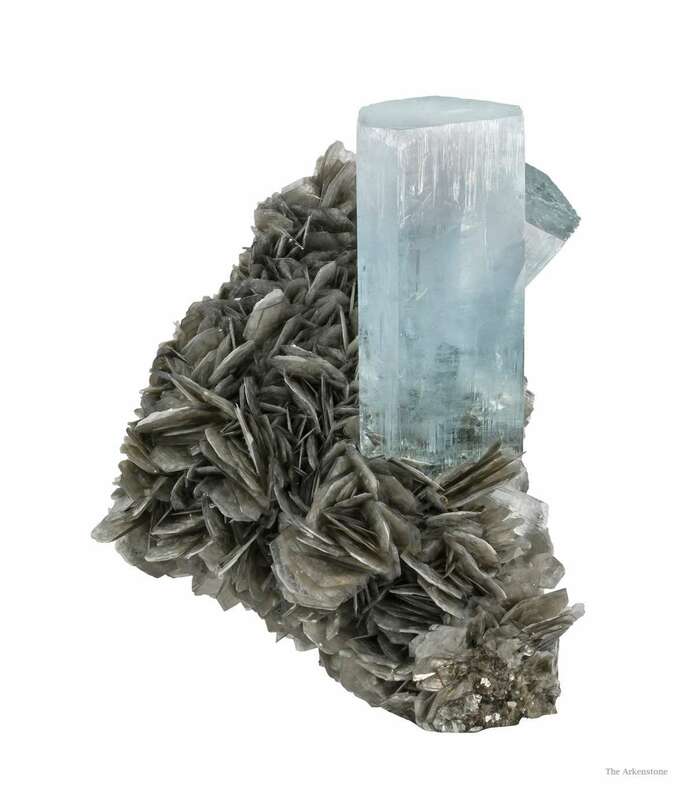 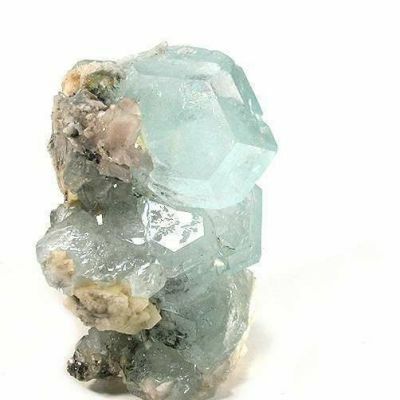 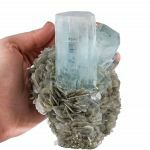 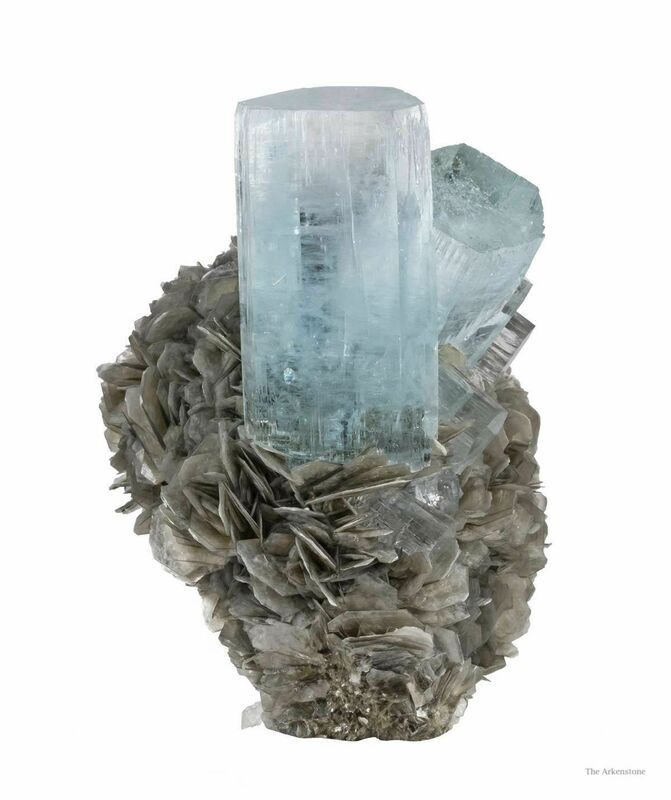 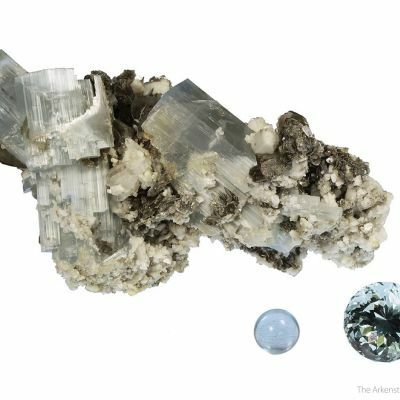 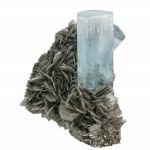 Aesthetically perched high on a mound of albite, covered by pearlescent muscovite crystals to 1.7 cm across, are a cluster of classically formed, glassy and gemmy blue crystals of beryl var. 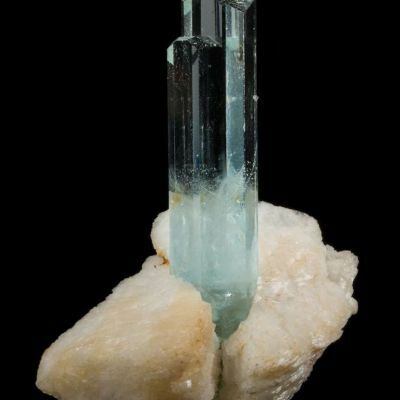 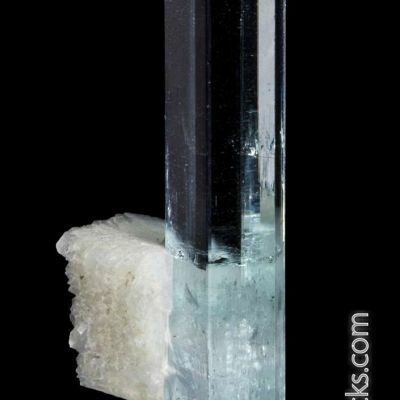 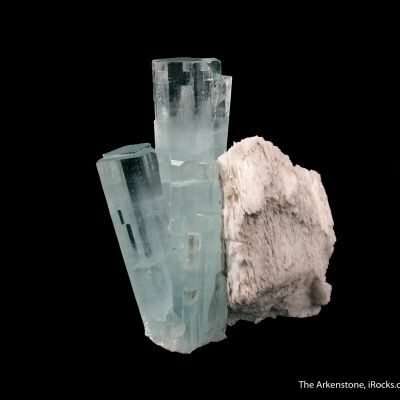 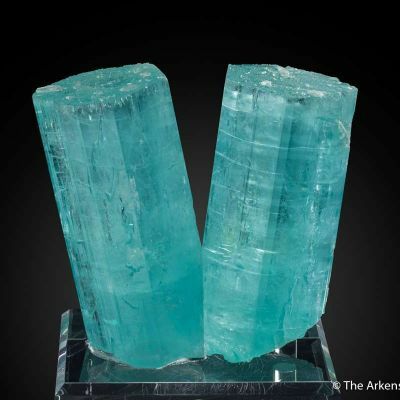 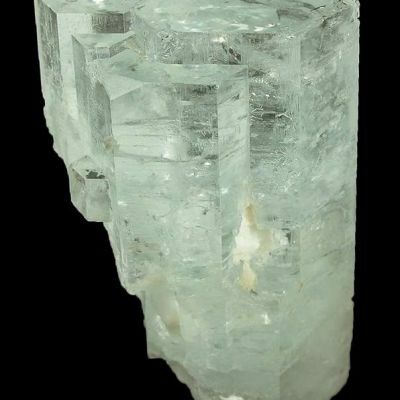 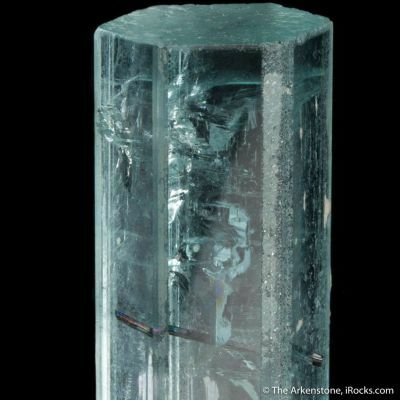 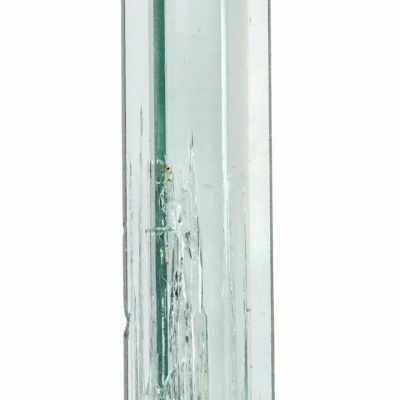 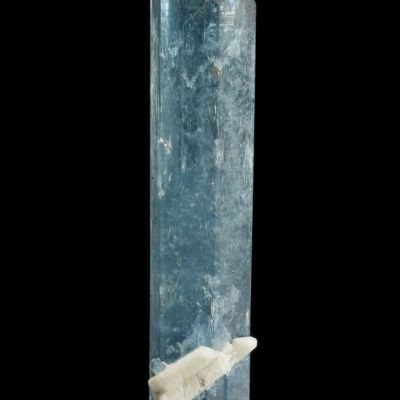 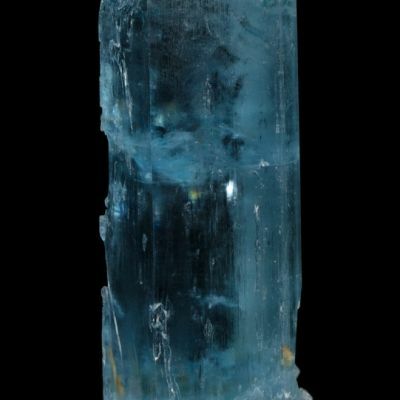 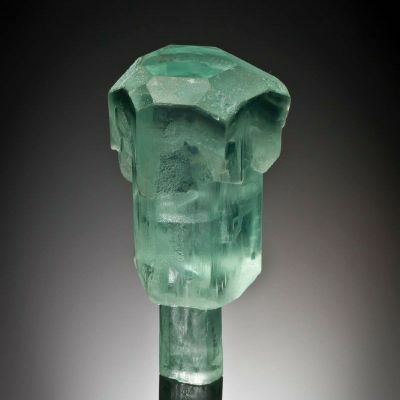 aquamarine, to just shy of 7 cm (about 3 inches) in length. 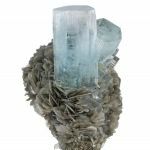 The aqua crystals exhibit attractive, subtle incipient etch patterns on some surface edges that add to the beauty of the crystals. 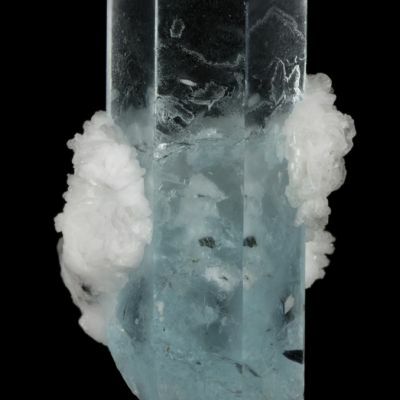 Dramatic and stunning! 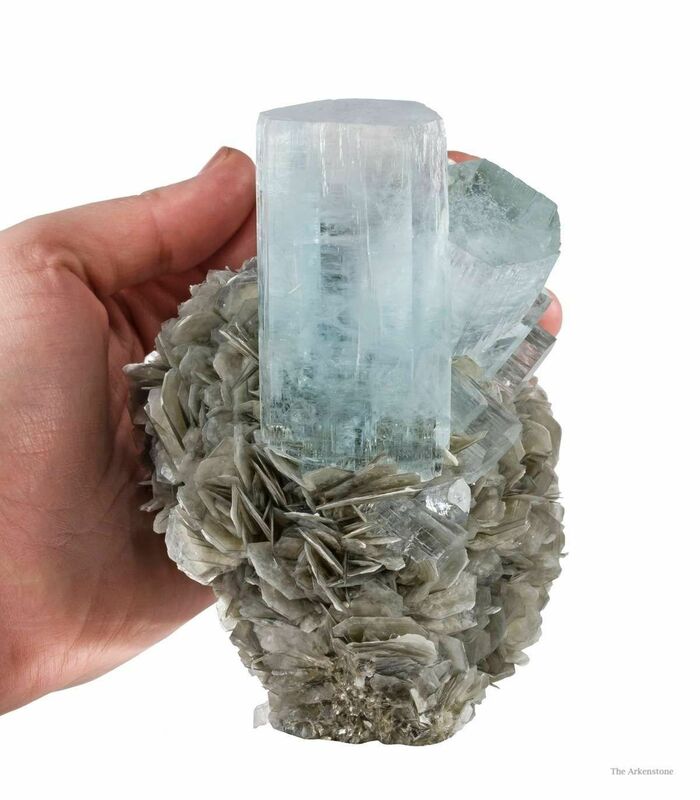 This is a classic example of Pakistani aquamarine, in large size and with excellent presentation aesthetics, that doesn't break the bank to own. 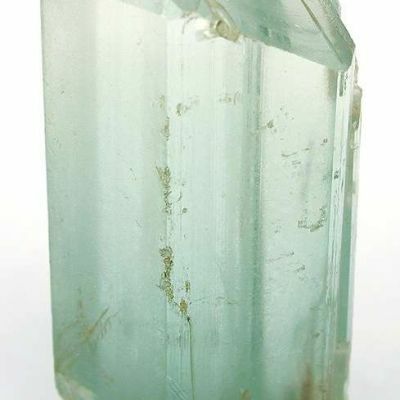 From old dealer stock of Herb Obodda, it is of a quality hard to obtain today in Pakistan (where prices have gone up substantially due to Chinese buying).